A bright, white smile can improve your appearance and your confidence. Dr. Feryal Alidadi can whiten teeth that have yellowed due to smoking tobacco, drinking coffee, or from age, with professional teeth whitening. Dr. Alidadi uses the KöR Whitening Deep Bleaching System, which is considered the most effective way to permanently whiten your teeth. This system combines at-home and in-office treatments to deeply whiten, with little to no sensitivity. It is even effective on dark, tetracycline-stained teeth. If you are looking to dramatically whiten your teeth, you can take advantage of our special offer. Right now you can get $300 off of teeth whitening with the KöR Whitening Deep Bleaching System. Dr. Alidadi provides Philips Zoom! in-office whitening. With Zoom!, we can make your teeth up to eight shades whiter in a little over an hour. The whitening procedure is very safe and produces long-lasting results. During a whitening session, we apply Zoom! Whitening Gel to your teeth. We then use the special, low-heat Zoom! light to activate the gel so it will penetrate the enamel and dentin in your teeth and remove deep stains and discoloration. Zoom! Whitening Special Offer – Just $300! 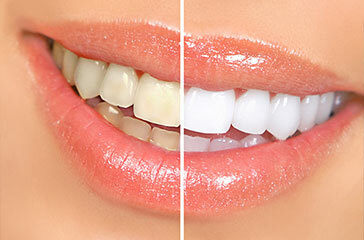 In addition to in-office whitening, Dr. Alidadi also offers at-home teeth whitening. She will take impressions of your teeth so she can make a customized take-home whitening tray for you. Then she’ll give you complete instructions on how to use the tray and whitening tubes. 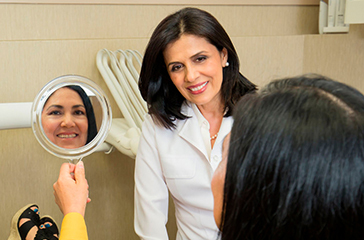 Under Dr. Alidadi’s guidance, both the in-office and at-home whitening treatments can deliver the results you desire. Whether you decide to whiten your teeth while you sleep, or by using short daytime sessions, you can get a bright, white smile in one to two weeks. Dr. Alidadi uses ezlase, a Biolase® laser teeth whitening system that’s a safe, fast and effective way to significantly whiten smiles. Years of age-related yellowing and stain buildup can be whitened at our practice in as little as 20 minutes. Although results vary, most ezlase patients experience up to ten shades of improvement after just one treatment. 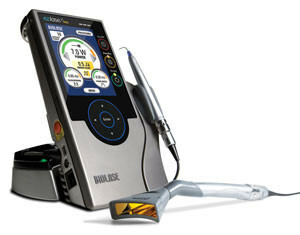 This is a superior outcome when compared to other laser and non-laser whitening systems.